Spectacular model! Does anyone know if there are other hats in the game that look like this Captain America/Power Ranger deal? My first association was the type of cover Ritualists, the shamans of Guild Wars, wear. Anyone? It looks more like Daredevil's mask, not Batman's. Fie on all you people that say it looks like batman. To me it looks much more like Catwoman's mask than anything else. 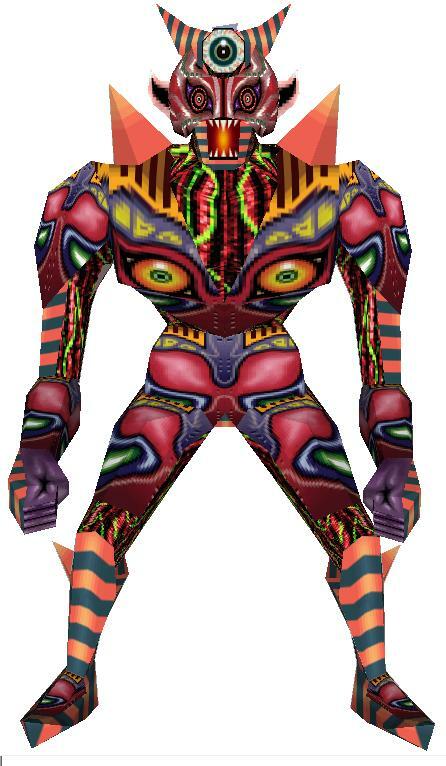 Has a uncanny appearance to the head of the Final form of Majora from Legend of Zelda: Majora's Mask. Another proof that blizzard only plays alliance, where's the horde-one huh? This helm matches perfectly with the Felstone set.